Rolling pin SKULLS, ROSES and CROSSBONES. 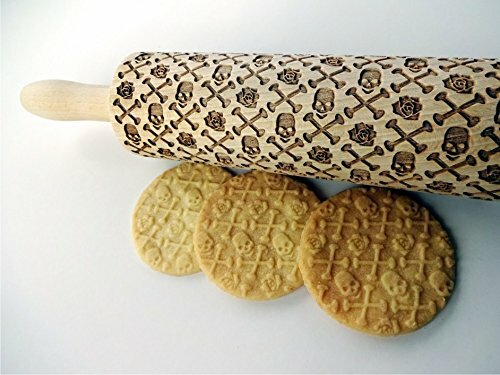 Wooden embossing rolling pin with SKULLS and CROSSBONES pattern. 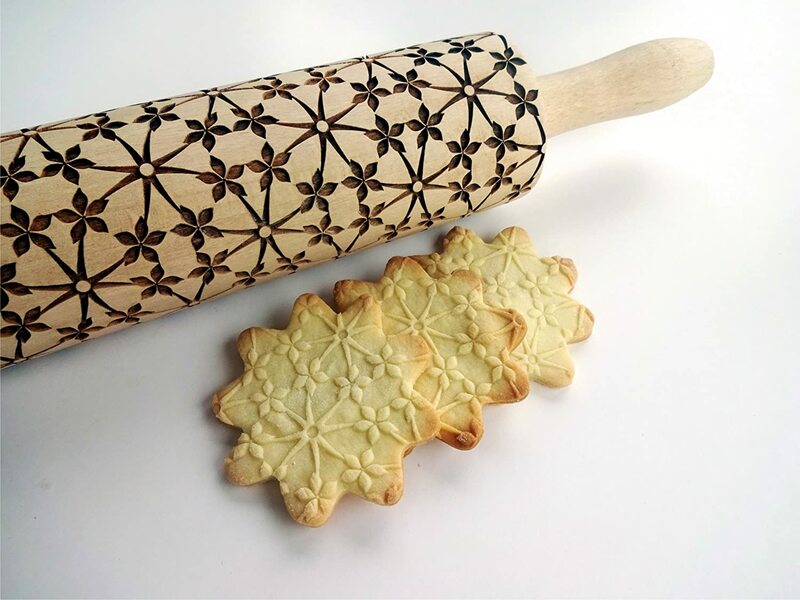 Embossed cookies. Pottery.